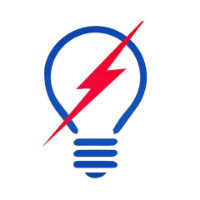 Welcome to GB Electrical, we are a long established and fully qualified electrical company based in Bexley, offering our services within a 15 mile radius including Sidcup, Bromley and Chislehurst. We have been helping domestic and commercial clients with their electrical needs for over 20 years. We offer a comprehensive range of electrical services including installations, repair work, inspections, testing, fire alarms and emergency lighting. Whether you are a homeowner or a business, we're confident we can tailor our service to meet your needs. Our electricians are fully qualified and experienced to carry out electrical work to the highest of standards. We take pride in the quality of our service and our reliability. We are a member of NAPIT, are SafeContractor Approved and are TrustMark accredited. Offering our electrical services throughout a 15 mile radius including Sidcup, Bromley and Chislehurst. We offer a range of electrical services to domestic and commercial customers including inspection, testing, installations, fire alarms, emergency lighting and much more. For your peace of mind, we are a member of NAPIT, are SafeContractor Approved and are TrustMark accredited.